Some aspects of the state criminal justice system may undergo considerable change if Florida lawmakers pass a key bill and the governor signs it. Fox News Channel 13 reported on the Florida First Steps Act in an article dated March 6, 2019, pointing out that the law closely mirrors a federal statute that was enacted in December. Some provisions may come as good news for certain non-violent offenders, and a knowledgeable Florida criminal defense attorney can tell you more about how they would apply if the measure becomes a law. 1. Mandatory Minimum Sentencing: To proponents of the law, the key to effective reform is eliminating or making adjustments to mandatory minimum sentencing. 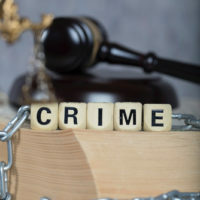 Currently, there’s a list of crimes that incur mandatory sentencing, which means that a judge has no discretion when issuing an order for jail time. The court must sentence the defendant to a minimum length of time in prison. The Florida First Step Act would eliminate mandatory minimums for non-violent offenders. It would also allow a judge to impose a downward departure to reduce the prison sentence where the case involves certain mitigating factors. Examples would be where the person is a first-time offender, didn’t cause bodily harm or death, and the underlying crime was not part of a continuing criminal enterprise. 2. Inmate Location: The new law would also provide that an inmate sentenced to prison must be housed within 150 driving miles of his or her primary residence. There are some exceptions and details, such as security, mental and medical health needs, and bed availability. Studies have shown that inmates benefit when their family, friends, and loved ones are in close proximity and can visit often. Advantages include reduced recidivism and an easier transition back into the community upon an inmate’s release. Fulfills the requirements of a Prison Entrepreneurship Program, which prepares the inmate running a business upon release. There are two special considerations to note with this provision in the law. First, the sentence reduction is a one-time grant, so an inmate cannot earn additional time through multiple educational programs. Second, the 60-day time period reduction cannot result in the person serving less than 85 percent of the original sentence that was imposed by the court. Though criminal justice reform may be just around the corner for Floridians, there are still harsh laws in place until the bill passes. Therefore, it’s essential to have legal assistance for any type of criminal matter. If you have questions about a case or want to know more about how the Florida First Steps Act may apply to your situation, please contact Fort Lauderdale, FL attorney Kevin J. Kulik to schedule a consultation.